One of my favorite things about summer is all the ice cream, not to mention, July is national Ice Cream Month. What better way to celebrate than with a wonderful ice cream treat swirled with peanut butter and topped with decadent chocolate? 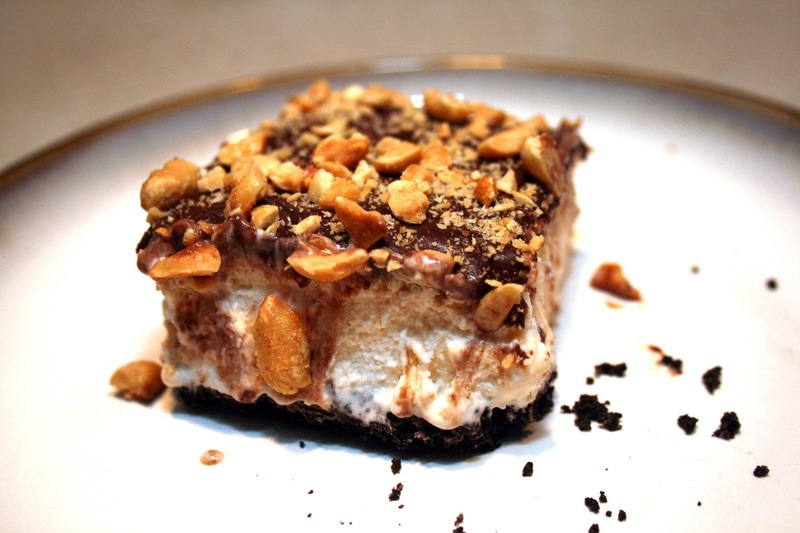 I made this treat for our little Fourth of July celebration, and it was an instant hit. Everyone had a hard time eating just one piece, so we all had two. It was relatively easy to put together, and it tasted like I spent hours making it. Can't complain about that. I will definitely be making this simple and delicious treat again soon! 1) Put cookies (creme and all) in a food processor and process until finely ground (I did this three times with 8-10 cookies each time). 2) In a large bowl, combine finely crushed cookies and butter. Mix well. Spray a 9x13 inch glass baking dish with non-stick cooking spray. Spread the cookie mixture evenly in the bottom of the dish with a spatula and press firmly. Freeze until ready to use. 3) Microwave peanut butter in a small bowl on high for 1 minute. In a large bowl, swirl peanut butter into vanilla ice cream. 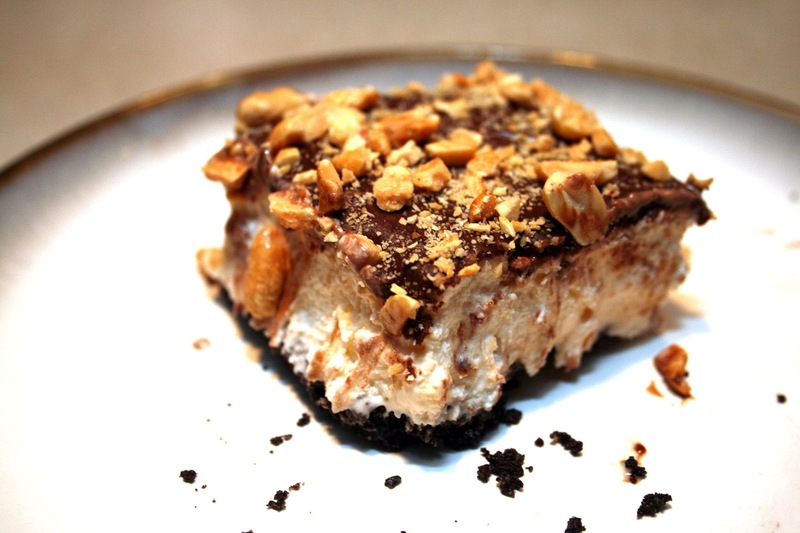 Once swirled, remove crust from freezer and spread ice cream evenly on top. Freeze for about 30 minutes. 4) Microwave the Cool Whip and chocolate in a large bowl on high for 1-2 minutes, stirring every minute, until melted and well blended. 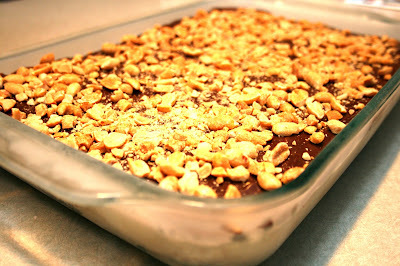 Spread mixture evenly on top of ice cream layer and top with peanuts. 5) Freeze for 4 or more hours. Remove from freezer and let stand at room temperature for about 10 minutes prior to serving. Return any remaining dessert to freezer.